Sometimes Being a Brother is Even Better than Being a Superhero. 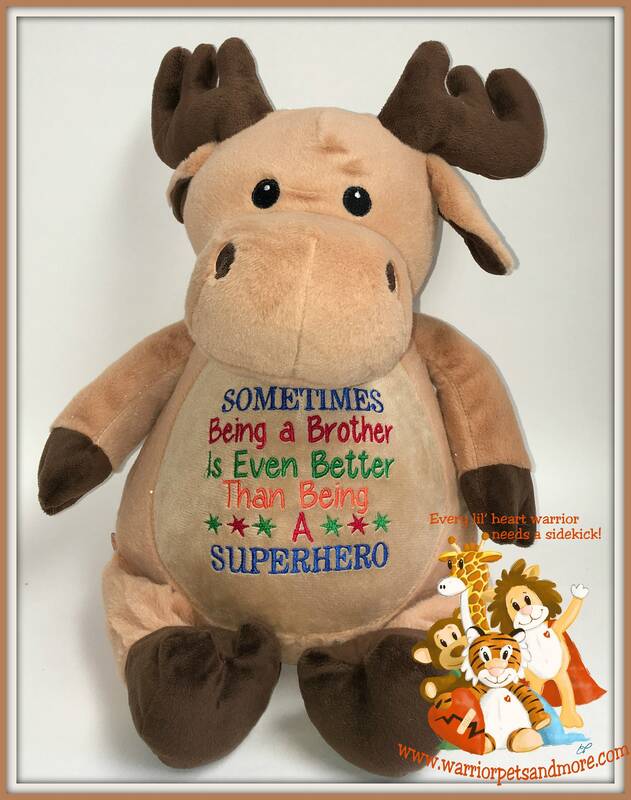 Soft, cuddly plush animal for that special brother. This design can be done on any of the animals.